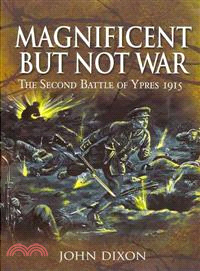 The book is a detailed account of the fighting around Ypres during April and May 1915. It is essentially a day-by-day record of the Second Battle of Ypres which draws heavily upon personal accounts, regimental histories and war diaries to present a comprehensive study of the battle in which Germany became the first nation to use poisonous gas as a weapon. Each phrase of the battle (the Battle of Gravenstafel; the Battle of St. Julien; the Battle of Frezenberg Ridge and the Battle of Bellewarde Ridge) is discussed in detail with maps and photographs where appropriate. the main text is accompanied by a number of appendices including officer casualties; Victoria Cross winners and the British Order of Battle for Hill 60 and the Second Battle of Ypres.